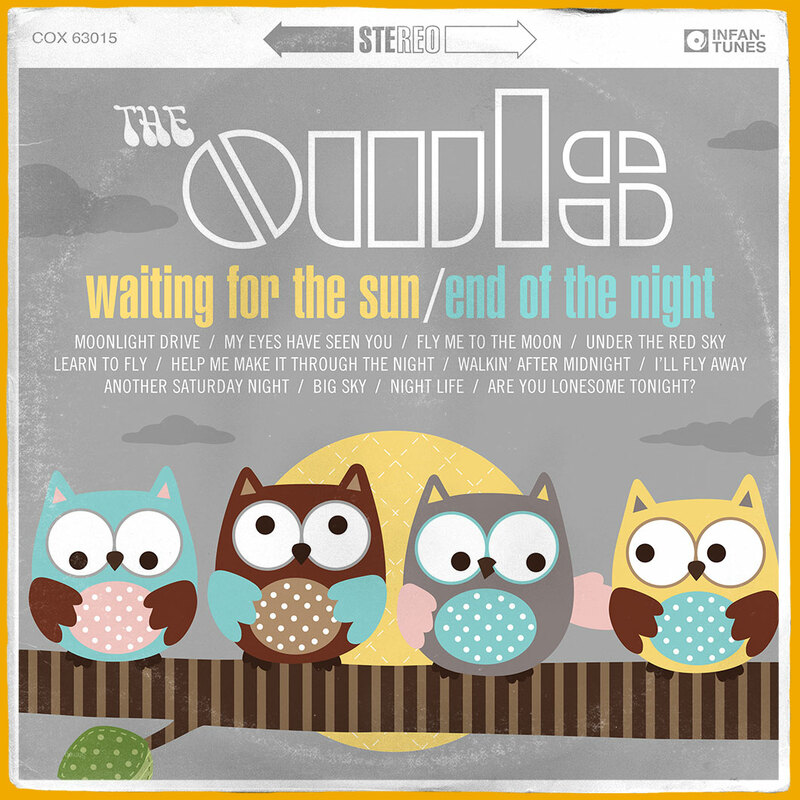 The Owls Album Cover Wall Art - Colossus of Clout Design Co. 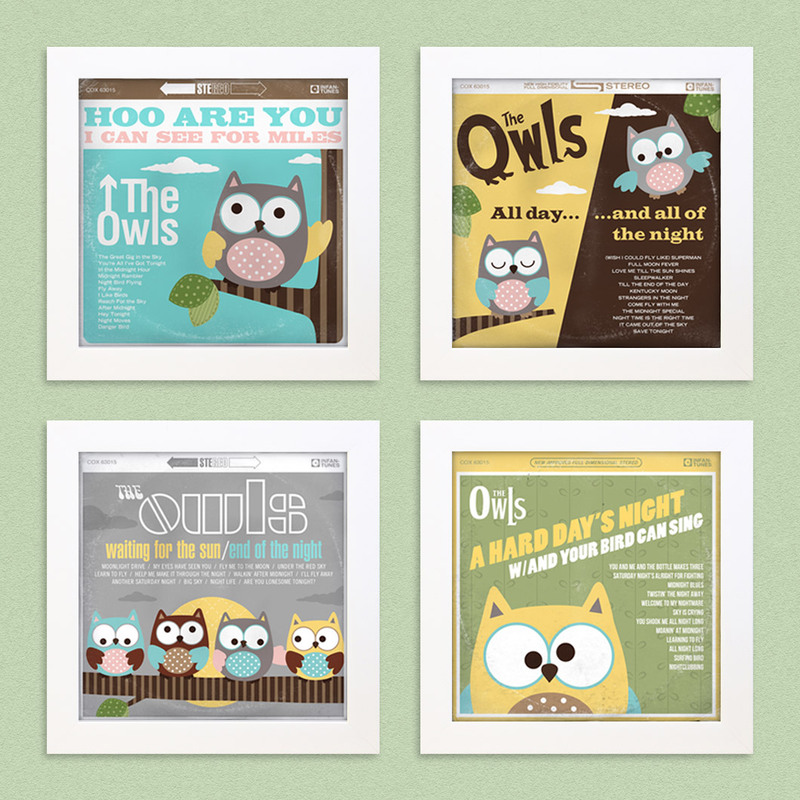 Here is a set of custom album covers I created for my daughter’s room. 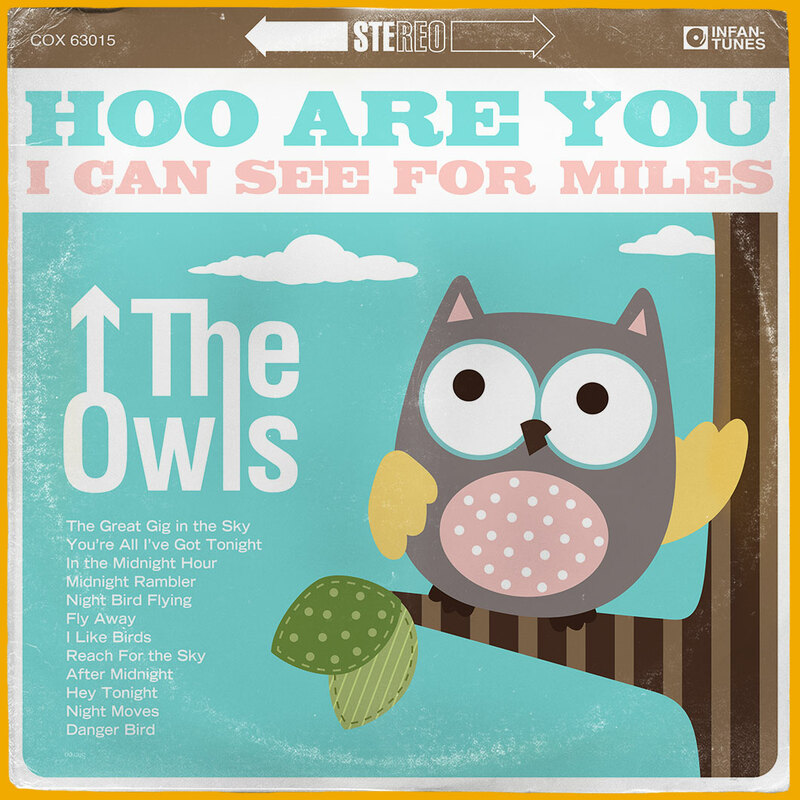 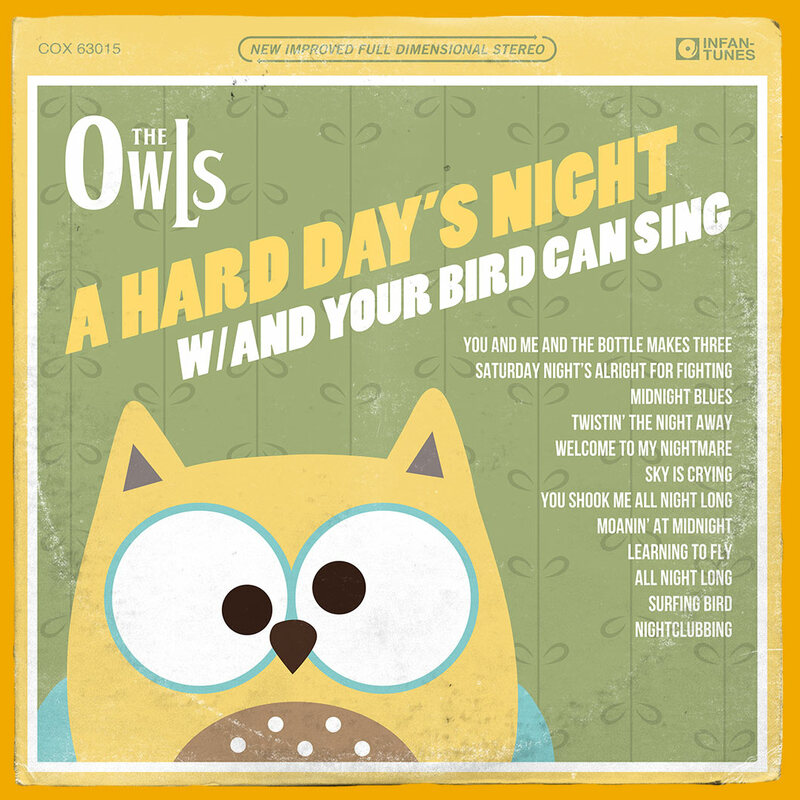 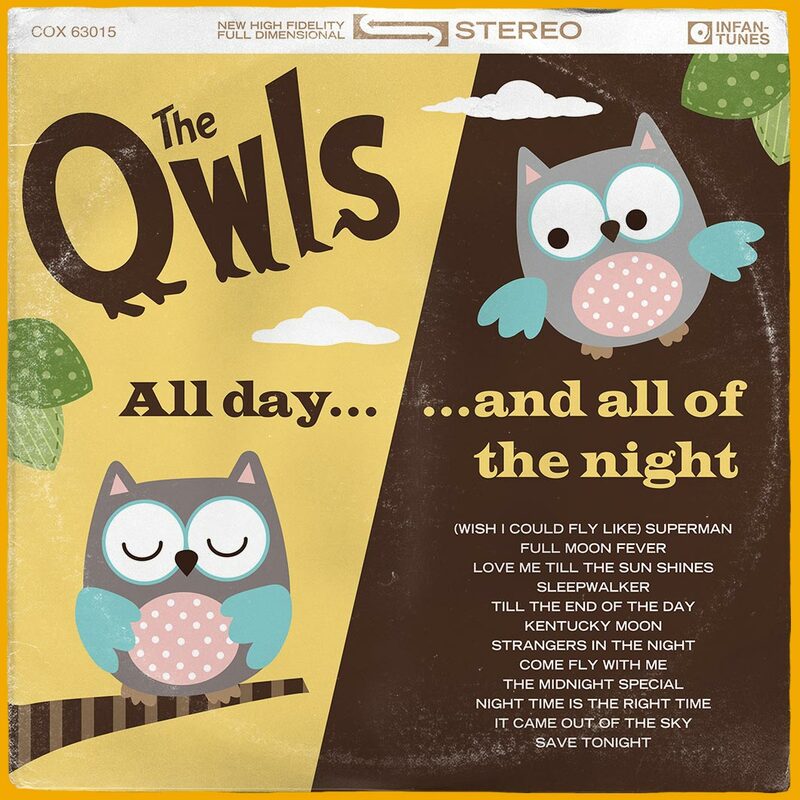 I used the characters from her bedding set and created a fictitious band called “The Owls.” Each album cover centers around one of my favorite bands of all-time—the Beatles, Who, Kinks and Doors—and features their logos recreated as “The Owls.” I also added some song titles that related to birds, flying and night time, for good measure.